StellaBella: Wednesday Food: Fast and Loose! Our motto this summer has been fast and loose! (We made this phrase up after seeing Jeff Bridges performance in the movie, Thunderbolt and Lightfoot). I have two recipes for you this week. Both quick and great for the summer! First, a Spicy Tomato Soup with Chorizo and second, a quick and easy Sangria. I know, I know, another tomato based dinner. But this time we are going with more of a Spanish influence! Personally, I'm not a huge fan of spicy foods. My digestive track gets angry with me. I'm more of a fan of spicy flavor than the heat. In other words, I'm more of a Frank's girl than a Tabasco girl. So why is spicy good for the the summer? Well.....have you ever noticed some of the spiciest foods come from the hottest regions of the world? India, Pakistan, Vietnam, Korean, Thailand, Taiwan, Ethiopia, Sudan, Spain, Morocco, Tunisia, etc. Spicy foods make you sweat, which in turn cools your body temperature down. And boy were we sweating! This recipe is really easy to add more spice or change up the type of pepper you use. Such as serrano, poblano or anaheim. As we dined, we came up with a few variations and additions. 1) Pour a little olive oil into a large soup pot, on medium heat. Place chorizo in the pot and cook till brown. About 10 minutes on each side. No need to cook it all the way through it will cook more later. 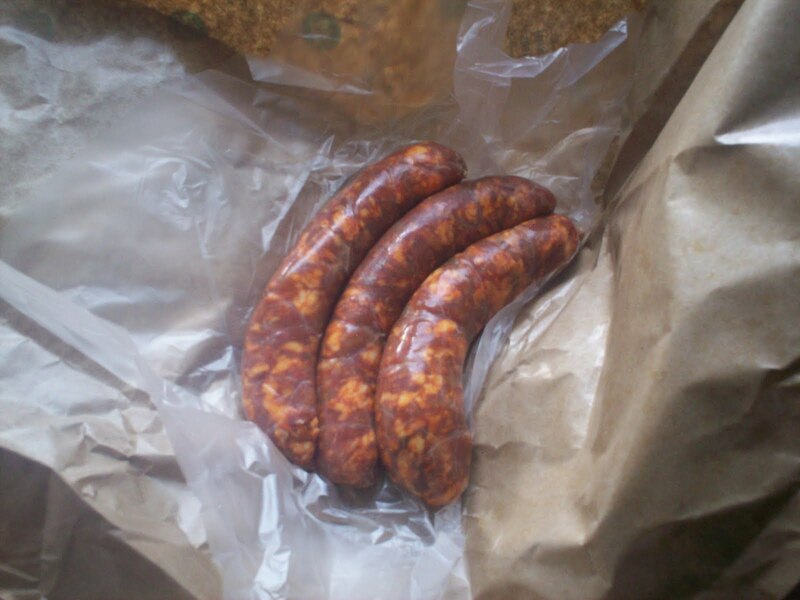 Once browned you can take the chorizo out and set aside. 2) In the same pot, saute the onions for about 7 minutes, then add the garlic and pepper. When preparing the pepper, take the seeds out and discard them. The seeds are where the heat is. If you want it super spicy then by all means keep them. The pepper itself is spicy but has more of the flavor than the heat. 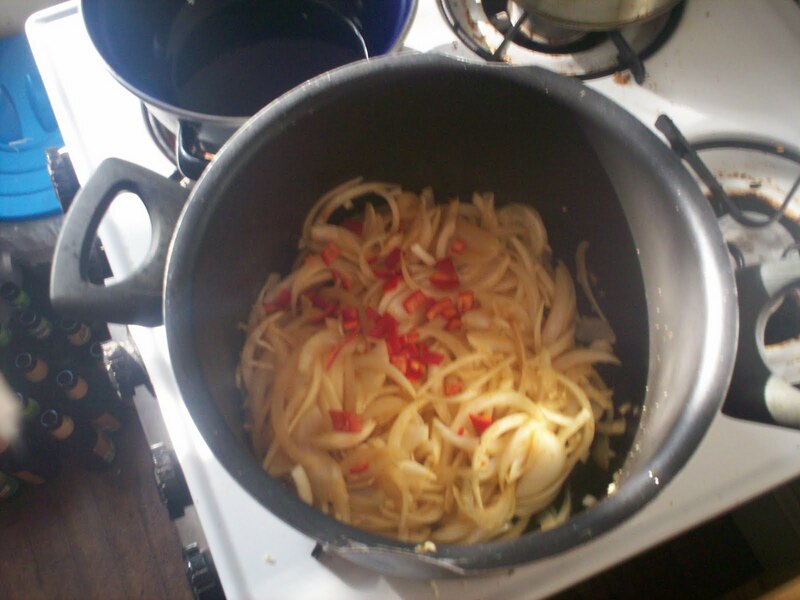 Cook till the onions are super soft and almost look like noodles. 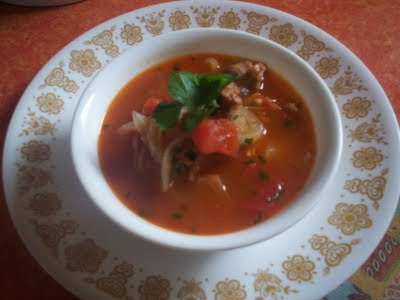 3) Add the chicken stock and tomatoes. Cook just till it starts to boil. 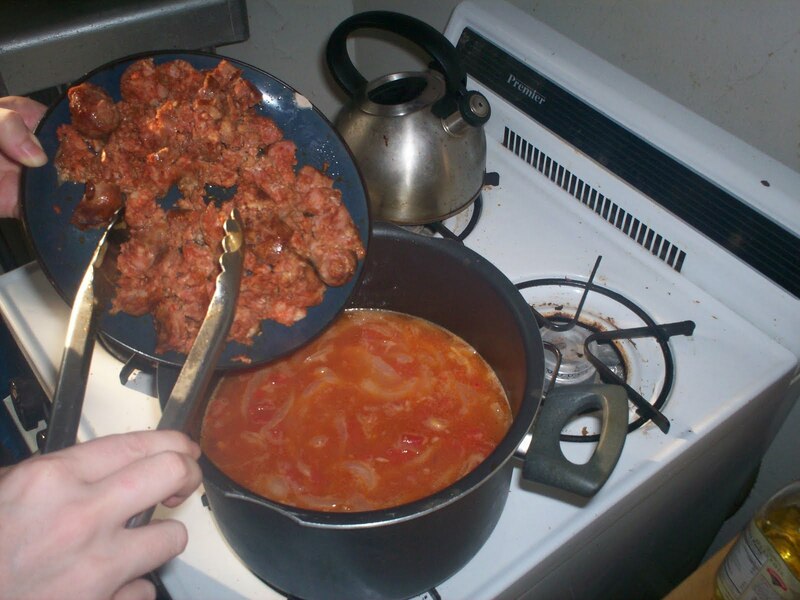 While the soup is cooking chop the chorizo up into small bite size pieces. Once the soup boils, add the chorizo and cook for about 10-15 minutes. And there is your soup. Easy, quick and guaranteed to make you sweat. We also used some of the leftovers the next morning in our scrambled eggs. A little bit of the soup, some leftover basil pesto and cheese. MMMMmmmm! 1) Put the water and sugar in a small pot and heat to a boil to make a simple syrup. While it is heating, do not stir just let it set till it boils. Once it has boiled turn it off. Let it cool for about 10 minutes. 2) While the syrup is cooling, you can prepare your fruits. Combine all your ingredients except for the seltzer. Add the simple syrup, stir all the ingredients together and put in the fridge for about 30minutes. 3) Pour in a glass (with ice) about 3/4 of the way full and top the rest with seltzer. Sit back and enjoy! The reason I call this fast and loose sangria is because usually you leave the sangria mix to set overnight, to get the full flavor out of the fruit. 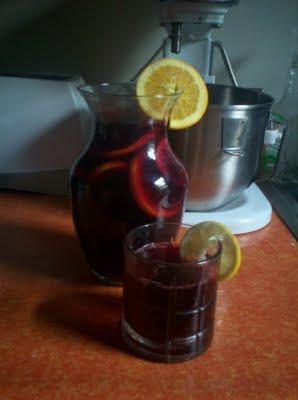 We decided to do Sangria while we were at the grocery store, last minute decision. I wasn't kidding when I said we were keeping it fast and loose! HaHa!